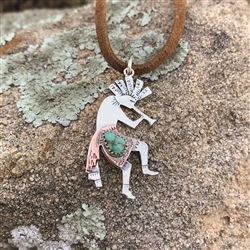 In many Native American cultures, the ancestral spirit, Kokopelli presides over fertility and agriculture. Here, we've adorned this Kokopelli pendant with copper clothing, and a lovely piece of turquoise. 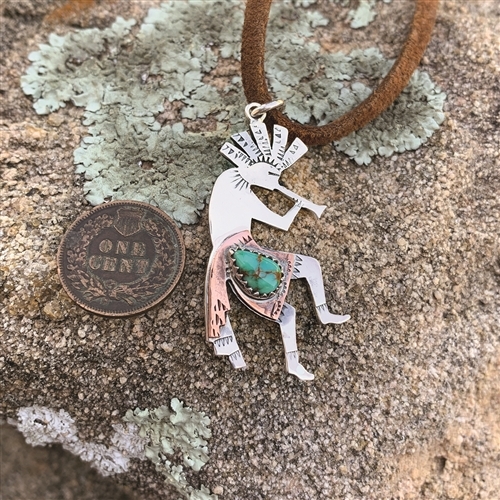 The Kokopelli pendant is 1 9/16" tall x 3/4" wide.